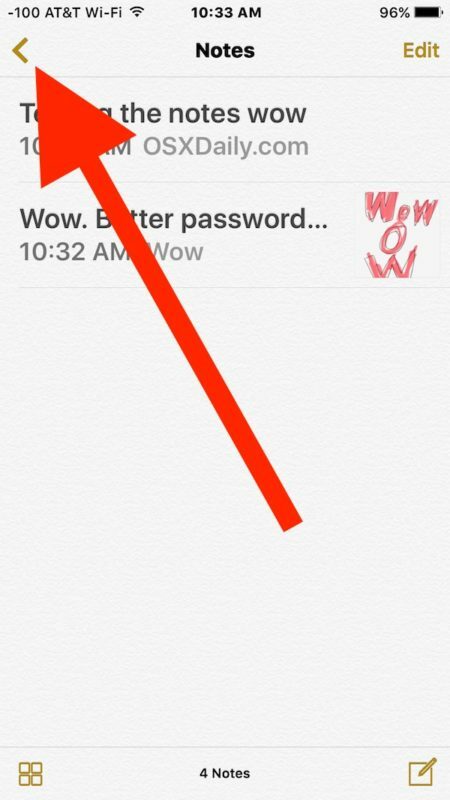 The Notes app in iOS is widely used by many users for many purposes, whether for keeping a shopping list, password locked personal notes and data, a diary, sketches and drawings, checklists, or whatever else you may want to keep handy on an iPhone or iPad. Because much of the Notes data is personal, if you accidentally delete a note or two it can be a stressful experience and you’d understandably like to recover from inadvertently removing an important note. Not to worry though, the latest versions of the Notes app allow for an undelete process, allowing users to restore deleted notes to their iOS device, assuming they act within a reasonable time frame. 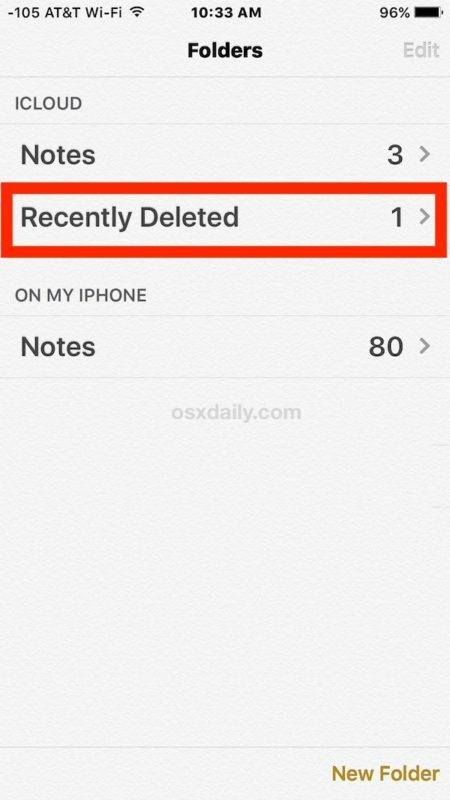 You have up to 30 days to act to undelete and restore a deleted note in iOS Notes app. If you wait any longer than that, the note will be removed permanently. 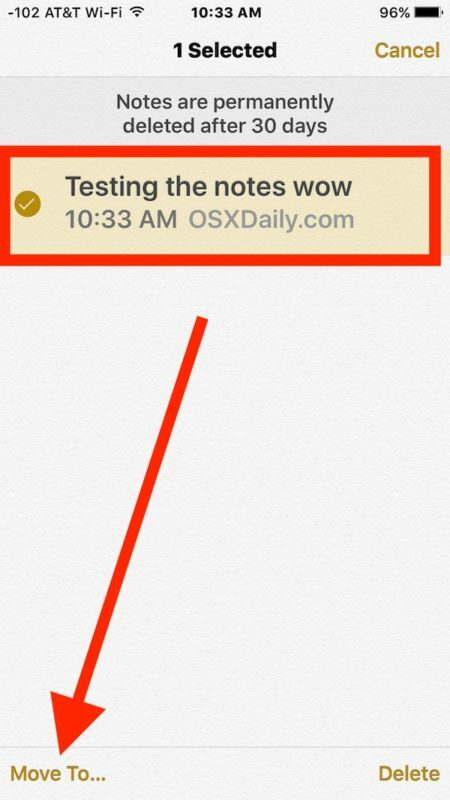 Stress averted, your note (or notes) have been restored to the iPhone, iPad, or iPod touch. Phew! If the note is not found in the recently deleted section, it may be gone for good. The only other means of undoing a deleted note would be to restore the entire iPhone or iPad from a backup, assuming the backup was made prior to the note being deleted in the first place. A similar undelete feature exists for recovering deleted photos in iOS, where you have up to 30 days to act before the system software takes over and permanently removes something. I have IOS 9.3.1 on all our devices and recovering a note could not come at a better time. We had lost an important note and thought it was gone forever. We followed the instrusctions above BUT we could not find the “Recently Deleted” folder on any of our devices. I am at a loss and disappointed. Is there anything we missed? If you don’t see the Recently Deleted folder available then the note is probably already missing. You could try to restore from an iTunes backup to before when the note existed for sure, but that is trickier situation since who knows what date it is from. You can test it and make a new note, put some jibberish in it, then delete it. Then go to look for the Recently Deleted folder, the deleted note will be in there to undelete and recover. For everyone to remember here: you have to have ‘updated’ your notes to the new iOS version to have the Recently Deleted option (it asks you to update at some point with the release, usually during system update a few months ago I don’t know how to trigger it manually and neither does Apple LOL seriously!!) New phones will have the notes updated automatically but if you updated an older iPhone or iPad to a new iOS version it asks to update the notes. Still not sure why, maybe to make them iCloud compatible. Anywho, the last way to get a deleted note is possible if you backup your phone regularly. Find the backup that dates to before you deleted the note, and restore to that. It works, but of course you go back in time with other things like your pictures and music too. I wish iCloud worked like we all thought it shoudl and would – automatically store everything in the cloud so we could get it when we wanted it. As it works now, I don’t know what good it is beyond the overall package backup. Does one have to have iCloud set up to make this work? And, do tou have an article on setting up iCloud. 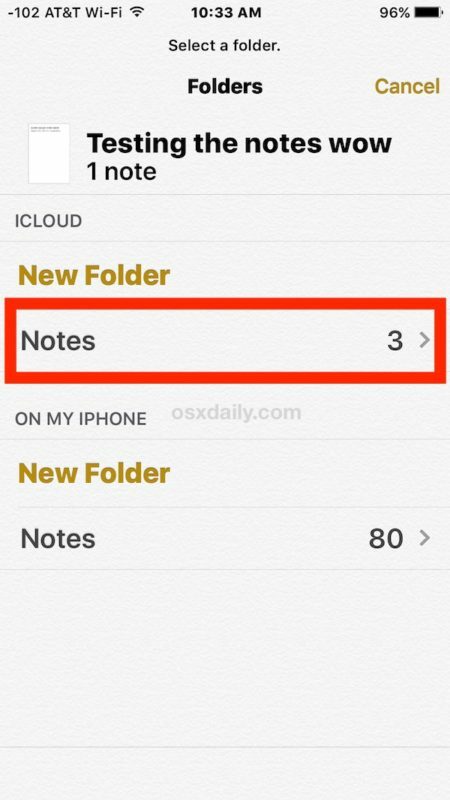 Notes does not require iCloud to use unless you want to sync the notes between iPhones or Macs. You probably already have it enabled if you have an iPhone or iPad. It is the same as your Apple ID. I know this is confusing, Apple has NOT made it easy to understand! Their whole ‘services’ division is pretty frustrating! This is just like your “tip” on password protecting notes. It is simply NOT on the iPad (yes, I have the latest version of iOS). You seem to have a version of Notes that is different. Anne, this and password protecting notes, are features of the Notes app on iPhone, iPad, and iPod touch. If you are not running a modern version of iOS you will not have the feature. It’s that simple. This is non-fiction. I have the latest version of iOS and my iPad is about a year old. This, too, is non fiction. I rummaged around and hit on something offering an updated version of Notes. That must the problem. It was by no means obvious, I had to look for it. I am trying to edit my iCloud email address to update all of my apps. I read where I am supposed to sign out and enter a new email address and password but the sign out button doesn’t give me the option to save notes on my phone. If I sign out I will lose all of my notes. And my phone has not been backed up in a while. Please help. I have the updated version of everything and there is no recently deleted folder in my notes app. Help! I refuse to use an earlier back up. Thank you SO much for a clear and expertly described answer and accompanying visuals. I was so confused by other suggestions. Luckily I did nothing until I found yours. Will save your site for the future! I accidentally deleted the iCloud folder which had so many important info I need . I had down loaded the latest iOS version but I did not knowi had to update in NOTES . I did try what this says to do but their is nothing that says deleted notes . Is their anyway of retrieving this folder ??? Please help . Notes lost all of my newest notes typed between Saturday 9/24-9/26 but the older ones seem okay. If I upgrade to the newest iOS (I have 9), is it possible to recover the notes? Sadly I hadn’t backed up my phone recently. In an attempt to increase storage space for backup, rather than upgrade iCloud storage, I turned off the notes to backup. This however, deleted my notes. I turned it back on but my notes are still gone. I have the latest iOS update (10.1.1) on my iPhone 6+ but do not have a deleted files option in my notes?? Please advise. I have iOS 10.1.1 on my iPhone 6. I can verify that Paul’s undelete method works. In the Folders list, the Recently Deleted folder does not appear if it is empty. In other words, you will only see this folder when something has been deleted. I hope this helps. Q, thank you, thank you. You are a godsend. I thought I lost a very important note that I’ve been keeping for over a year and adding to it. I managed to recover it following your very clear and concise instructions. Once again, thank you so much. Okay, so, when I first was typing, I tried to copy my note well doing so, highlighting the ENTIRE note, I accidentally typed. Thinking this was a glitch, I exited the note, and seeing as it never recovered I researched how to get it back! Is my note lost forever, my backup does NOT work for some strange reason, so it has NEVER been backed up! 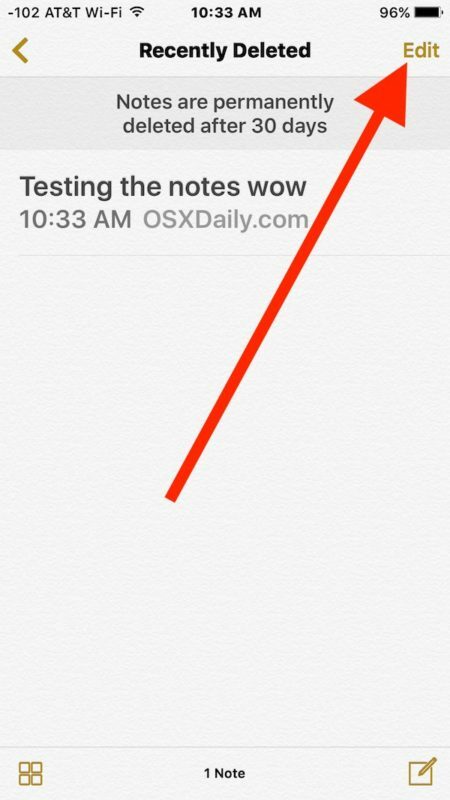 Will this also work if the notes app has been deleted? What shall I do in that case? 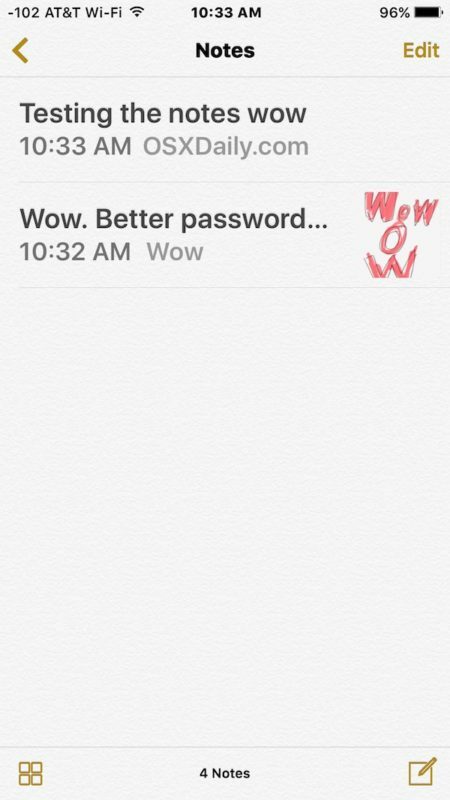 My daughter deleted by accident the complete notes app. What is the best way to restore it back when I do not have a iTunes nor iCloud backup? Why are the recently typed notes deleting? How can I recover them? If you completely delete the notes from your iphone, you cannot recover them with this way, and if you have iTunes backup, it would be nice, but if you don’t have backup to recover from, have a try of data recovery tool, I have used a tool named MobiKin Doctor for iOS. 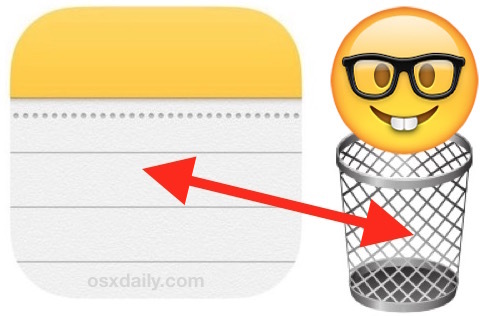 If not having backup, here is a reliable way to recover our notes in case we accidentally delete them. For iOS Device users, you need to use iOS Data Software to get back the lost notes from your iOS. This software can scan your iOS device deeply on computer and find the deleted notes for you. Thank you for this I got back a really important note that I have been stressing out about it and I looked at several different websites and this finally worked thank you!! Profoundly grateful for this info. Thank you! THANK YOU so much. third attempt to log notes on a meeting! great notes. simple. How do u undo you deleting your notes in iCloud I accidentally and ALL MY NOTES ARE GONE?!?? I really needed this information. Your presentation explained it precisely and the images were well chosen. So – I inadvertenly delted my NOTES on my 5C Iphone. And then, (unfortunately) decided to back up to ICloud and added a new NOTES app. Looks like there is now no way to restore my old NOTES folder where I had saved things for years. Still really don’t understand ICloud. Do I have to back up every day? Thank you this was really helpful! Thank you! Don’t have that on my phone. There is no such folder. Awesome!!! saved me so much hassle . Thank you!